30 acts from 20 countries across Europe join the blockbuster bill for the continent’s answer to Glastonbury, with new artists to discover at every turn during Budapest’s week-long culture clash. Championing new music from across the continent, Sziget‘s Europe Stage showcases artists about to break in Europe. Highlights this year include underground French hip-hop hero Hippocampe Fou, nine-piece Dutch electronic instrumental collective Jungle By Night, Czech Celtic punk band Pipes and Pints, Belgian rap trio L’ Or du Commun and more. This eclectic line-up sits within a major programme of music, arts, performance and more across 60 stages with over 1000 acts across the week-long bucket list festival. A Sziget newcomer, Sophie Hunger is nothing if not versatile. A singer-songwriter, film composer, multi-instrumentalist and bandleader, the Swiss star’s special blend of electro-folk has won her a cult following across Europe. Italian indie-pop-rap-duo Coma Cose unparalleled onstage energy takes influence from techno and drum’n’bass raves and promises to be a stage highlight, while Latvian indie rockers Carnival Youth – one of the most successful new generation bands in Europe – will bring their own energy with unavoidably catchy tunes. For 2019, the Ibis presents Europe Stage also host Polish rockstars Cheap Tobacco, home grown Hungarian pop heroes Mongooz and the Magnet, serene Netherlands-based singer-songwriter Naaz and more. Sziget is proud of its international inclusivity, and welcomes more than 1,000 artists from over 60 countries. The festival welcomes 500,000+ Szitizens from over 100 countries each year. 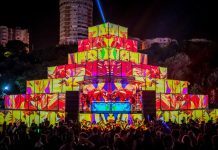 Programming is dedicated to embracing diversity as a part of its ‘Love Revolution’, using the power of the community to celebrate and bring love, acceptance, tolerance and freedom to the heart of Budapest and beyond. 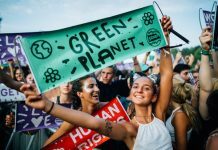 Sziget brings together a programme of world music, theatre, cabaret, installations, performances and art. 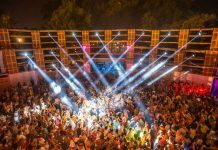 Set in the heart of Budapest on Óbuda Island, Sziget is a community built festival and known as the ‘Island of Freedom’. Headline acts this year are Ed Sheeran, Florence + The Machine, Foo Fighters, The 1975, Post Malone, Twenty One Pilots, Martin Garrix and The National, and with preparations well underway for next August, year 27 is set to be Sziget‘s biggest and best festival to date. 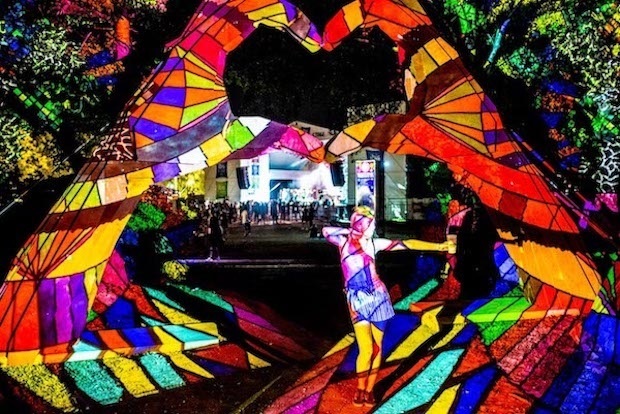 Sziget returns in 2019 between 7 – 13 August. Three-day tickets are now on sale starting at €209, with ticket prices set to increase on 9 May. For more details on Sziget head to link.